Hey everyone! I hope you had an amazing Christmas eve!! 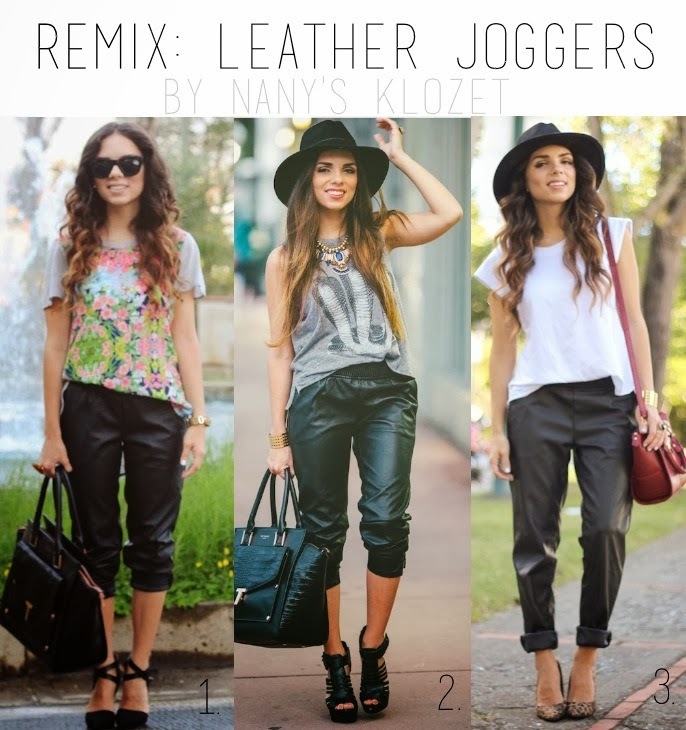 Since it's Wednesday..her's another remix: this time with some leather joggers. You know I'm a fan of leather pants, I think they dress up any look and you can wear them with absolutely anything. This style is a little more daring, but it's SO comfortable. I've worn it rolled up by the knee and at ankle-height (I think it's supposed to fit at the ankle but I'm too short haha). ¡Hola a todos! ¡¡Espero que hayan pasado una bonita Nochebuena!! !Como es miércoles, les traigo un remix con estos pantalones de cuero. Me encanta que el estilo es como de hacer ejercicio pero el cuero los lleva a otro nivel. Como pueden ver los he utilizado arremangados en la rodilla o doblados para que queden justo al nivel del tobillo (donde se supone que lleguen, pero como yo soy tan bajita!!). Cuéntame.. ¿Qué look es tu favorito?